Chalk Paint workshops have begun in earnest. on the 3rd Saturday of each month I will be welcoming you lovely creatives into the Studio to create beautiful pieces of furniture for you to take home with you. 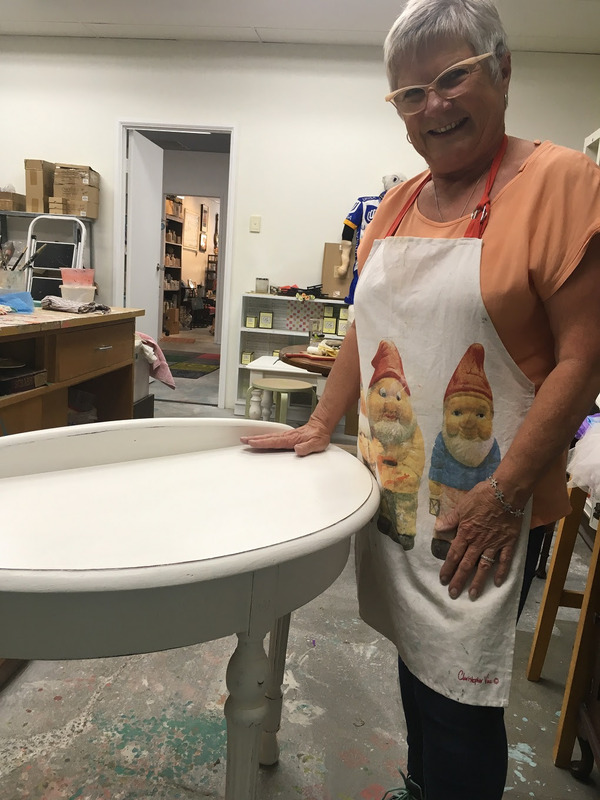 At the chalk paint workshops, we also learn a few different techniques using Mezzie and Frank fabulous products. This week, we used Frank's fondant to create 3D stencils. And the crackle medium for a faux aged look. 2018 has started strongly here at Unvaled with chalk paint workshops well underway and bookings coming in ahead of time. My chalk paint workshops are truly great fun. I hope some of the reviews I have been receiving on Facebook and a couple on Google can convey this better than I can. These past few weeks I have lost count of the number of conversations I have had with people who have thoughts, ideas and plans for the old bits and pieces that they may one day have given up on. 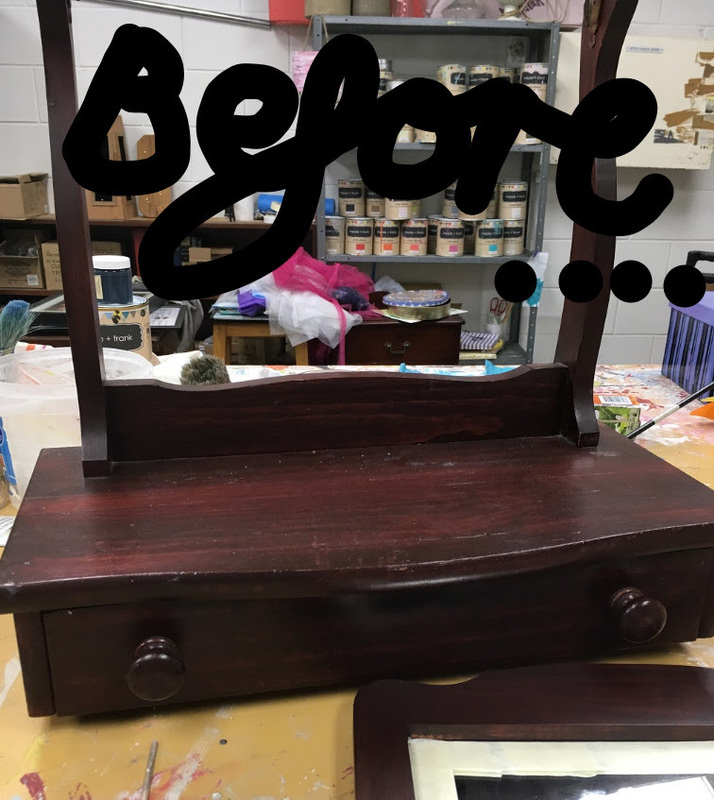 With a couple of licks of Mezzie and Frank Chalk Paint, a good rub of wax and Voila! Transformation complete. Here, I collect images from all around the place and collect them onto this board. I hope it helps you with ideas (and doesn't overwhelm!). In the workshops we also learn a few different techniques on take home boards so you keep your creations afterwards. Sue started with an old family demi lune - probably turn of last century in age. It was pretty plain but with great bones and fantastic legs. Finished here in Whitehaven and set with wax, Sue also added a tiny little tulip to the front with Frank's Fondant (3D stencil) and you would swear it had been there forever. If you have some ideas about doing up an old table, frame...whatever you have, pop in and let's talk it over. 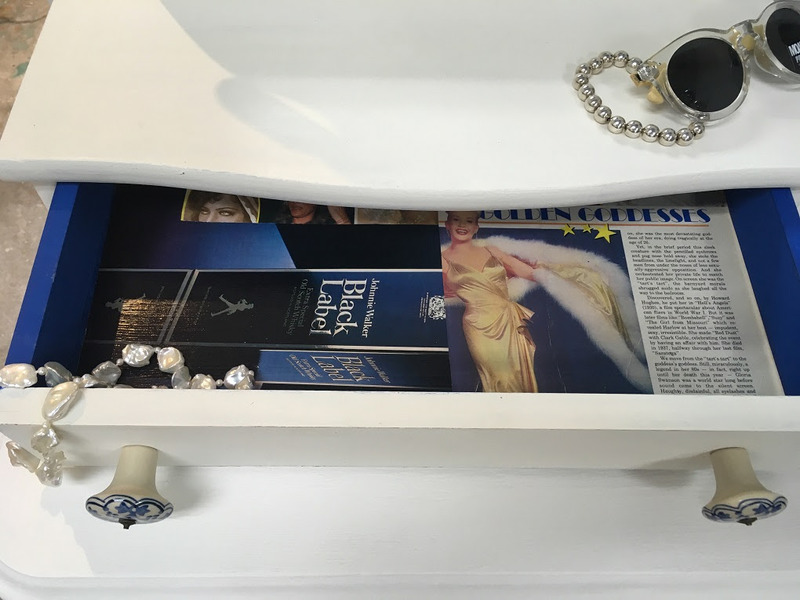 After clearing out my Mum's home, nearly a year ago now, I have a deep appreciation of all things that we have collected over the years. I will probably never get to all my 'projects', but I will sure have a good crack at it. I have just sent off her wingback chairs to be reupholstered so I am excited to share these with you when they are ready. Old will be new again - and doubly beautiful! Visit my Eventbrite page for upcoming Chalk Paint workshops. 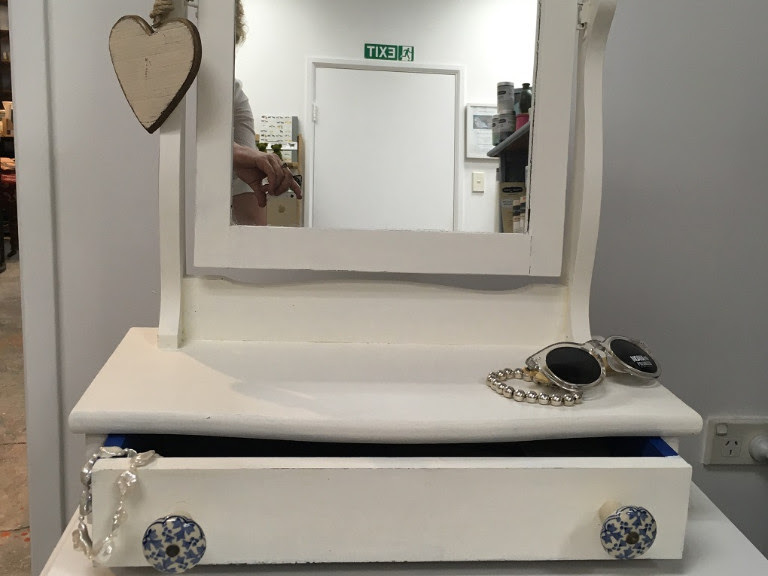 Here are some shots of the white dressing table mirror before and after the transformation. Call it a makeover - better than Botox!